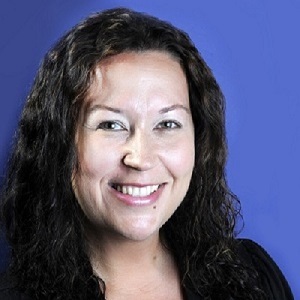 On November 3, 2014, Ms. Nicole M. Forrester became the President & Chief Executive Officer of Pacific Resources for Education and Learning (PREL), an independent, nonprofit corporation that serves the educational community in the U.S.-affiliated Pacific islands, including American Samoa, the Commonwealth of the Northern Mariana Islands, the Federated States of Micronesia (Chuuk, Kosrae, Pohnpei, and Yap), Guam, Hawai‘i, the Republic of the Marshall Islands, and the Republic of Palau. Ms. Forrester has over a decade of cross-cultural, global leadership experience in the education, community, business, think-tank and government sectors. Throughout her career, Ms. Forrester has built enduring relationships and created partnerships across diverse disciplines to lead innovative and complex initiatives which address multifaceted global, regional, and local challenges by implementing holistic, culturally responsive, stakeholder-owned programs. Most recently, Ms. Forrester served as director of the Young Leaders Program at Pacific Forum Center for Strategic and International Studies (CSIS). Her deep roots in the Pacific underscored her career as an associate lecturer at her alma mater, Queensland University of Technology’s (QUT) Oodgeroo Noonuccal Indigenous Studies Unit, where she focused on health promotion and advancing educational outcomes for Indigenous students. Following her time at QUT, Ms. Forrester joined the Australian diplomatic service and was appointed Consul in Los Angeles and later, Acting Director of the United Nations and Commonwealth Section. She subsequently accepted the role of Senior International and Government Relations Advisor for the Australian Industry Group. In 2011, she moved to Hawai’i to become a fellow at the East-West Center’s Asia-Pacific Leadership Program and was awarded the Amanda and Natalie Ellis Women Leaders Scholarship. At Pacific Forum CSIS, she concurrently held a WSD-Handa Fellowship for her research on the impact of social media on Next-Generation attitudes toward international issues. She has been published on Australian foreign policy, Australia-U.S. relations, and modernizing the U.S. alliance system in the Asia-Pacific region. In February 2014, the U.S. Congress recognized her leadership of the Young Leaders Program and its contribution to cross-cultural interaction, education in policy making, and facilitation of inter-generational dialogues. Ms. Forrester is of Wiradjuri Australian decent, a heritage that serves as the foundation of her life-long personal and professional commitment to Indigenous communities in Australia and across the Pacific. She is a sought after thought-leader with U.S., with extensive international media exposure. PREL envisions a world where all children and communities are literate and healthy, global participants grounded in and enriched by their cultures. Throughout the Pacific, a region of diverse languages and cultures, PREL collaborates with clients and partners using the proven results of research to improve schooling and promote community change. For more information about PREL, visit www.prel.org. Summary: Nikki’s answer to the five questions! Listen to the full conversation on the player above; also available on iTunes, Stitcher and Soundcloud. Hope for me is about choice. That choice is about every day remembering to embrace my assets or the assets of where I am to build my own resiliency and the resiliency of those that I get to touch. When I say assets, I’m not referring to money or possessions because I’m talking about assets that come from inside of us, the things that we carry with us everywhere, all the time – the differences between us. I have come to believe that when we see and embrace the hidden assets that we possess within us, that we can see in the world a reflection of what is possible rather than what is impossible. For me, that is the definition of hope. For the past two decades, I have been really fortunate to work with indigenous communities and these communities have taught me so much about hope and resiliency and about how there is a choice to be made every day. That choice is to look and see something that’s positive, something that’s working, something that’s possible by harnessing those assets that you have within yourself and within your community rather than look at who you are and who your community is seen as through a lens of deficits which is defined by others. That work that I have been able to do alongside with these communities really has influenced the way I look at the world and the way I approach the work of this organization as well. I used to be a scuba diver and I used to put myself in interesting places around the world to go scuba diving. I was basically in my own backyard in Brisbane, Australia in Moreton Bay. It’s an artificial reef off of Moreton Island which have been created by old wrecks which had been sunk there on purpose to create a recreational diving spot. I was on a boat overnight on a weekend and decided to go for a dive with a friend and she isn’t very novice diver girlfriend. We got caught under one of the wrecks. As the tide was going out, the sand shifted under the wreck and so there was a gap created, the water was rushing. It wasn’t particularly deep, but still deep enough that we were stuck under a wreck trying to swim against the tide. For several minutes, we tried to swim against the tide and it didn’t work and we can’t talk to each other. We’ve got no way to communicate other than hand signals and it’s pitch dark other than the lights that we have with us. At the time, the magnitude of the situation didn’t hit me until later, but that was probably the closest that I’ve come to death. Instead of giving into fear and despair where there was no way that we were going to beat the rush of water under this wreck, it was simply impossible to swim through it, something in my inside said “you can climb up the side of the wreck”. I didn’t have any gloves on and the wreck is full of barnacles and jagged edges of metal, but I just indicated to my friend let’s go up and she’s kind of looking at me going, what are you talking about, you’re going to cut yourself into shreds. But, we did and after several minutes of very slow, tactical movements up the side of this boat we got to a surface and we were able to move out of the way of the tide. What that experienced has taught me is ‘don’t panic’. You have the resources within you to solve this problem. Just breath, take in the situation and choose to be hopeful rather than fear and despair. It does come back to that choice. It would’ve ended up a very different situation if we hadn’t have not panicked and kept that thinking of how do we solve the puzzle. I think I would like to go back to the professional stuff because it’s the bit that makes me hopeful and to have fun with the work. I think that being hopeful and living hopeful that another opportunity will come up that will give me even more professional opportunity to share that idea that together, collective impact, we can have a bigger positive impact than we can as individuals. That kind of underpins the work that we do and in particular, the area of climate change is something that I am very passionate about and I feel really fortunate that this organization has prioritized eco-literacy or environmental knowledge to live more sustainably as one of our key priorities. One of the really hopeful projects that we have that I love to talk about is called Water for Life. It provides informal science education to communities. We bring all the community members in a place together to work on projects to help improve their own water source. The underpinning rationale is we improve science knowledge by actually helping people create their own safe drinking water resources and then sustain them into the future by helping them understand how to look after and manage them and make sure that they continue to be safe. Just those basic scientific things we know will help reduce students’ water-borne illnesses which helps increase attendance at school which helps increase learning. There is all these great flow on effects of this one project around clean water use that we get to do. (1) Choose hope every day.